I’m ho ho home for the holidays and basically surviving on everything peppermint for the rest of the year. Growing up, we would go to my grandmother’s house for Christmas every year. One thing was on my mind during those trips (other than presents, obv). Peppermint ice cream. Do you remember the type? Litte bits of peppermint candy scattered in simple vanilla. The red and white candy pieces would fade off just a bit, leaving you with little pockets of peppermint bursts. It’s one of my all-time favorite holiday memories that I’ve kept running to this very day. 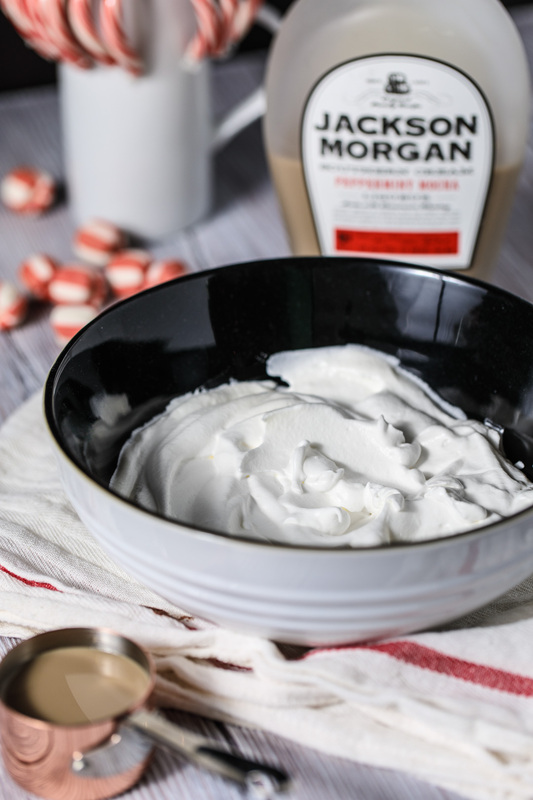 I’ve teamed up with a favorite partner of mine, Jackson Morgan Southern Creams, to give you my very own peppermint sweet that you can whip up in just minutes. That’s really the first time I can remember loving peppermint so much. 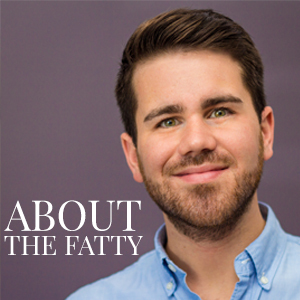 I decided to take my love for peppermint and up the game, Southern Fatty style. 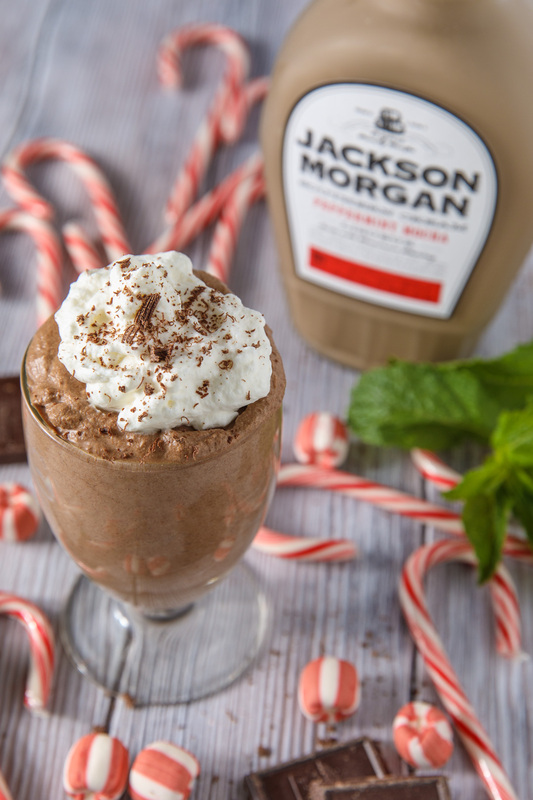 Peppermint mocha whiskey cream is infused into an abs0lutely decadent, delicious winter mousse wonderland. 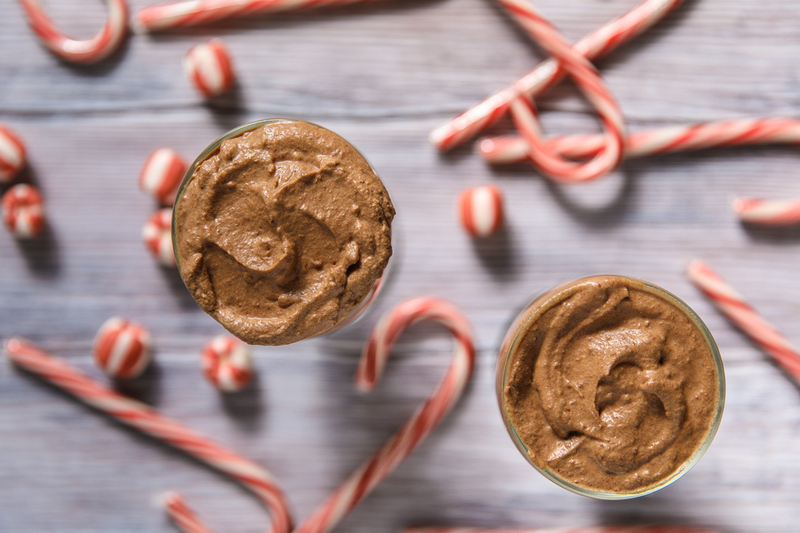 This chilled chocolate mousse will warm you up so much that you won’t need to light the fire. Chocolate mousse is a great party dessert (for a group or a party of one, really). It is much more simple to make than people always think it would be. You basically mix a couple things until they are fluffy and pour some liquor in it! I mean… that’s how I do it. 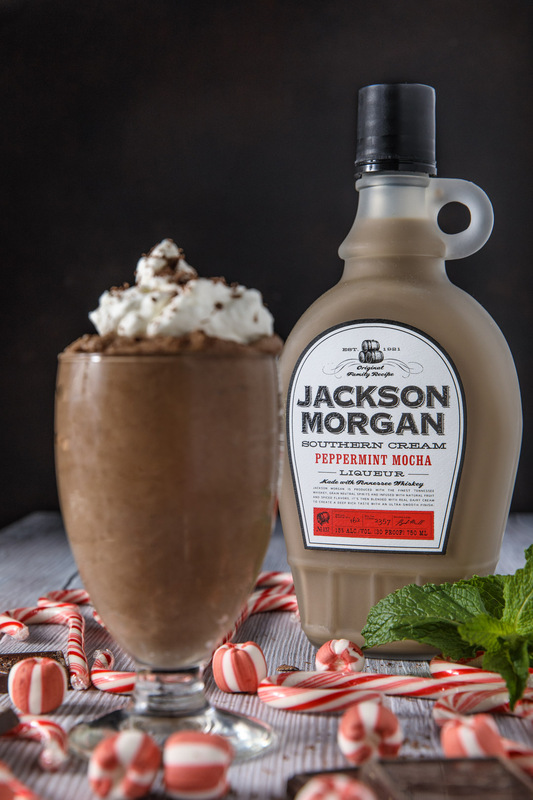 My friends over at Jackson Morgan make some mean whiskey cream blends. Made just down the road from Nashville, right here in Tennessee, it’s basically southern charm in a bottle. Obviously peppermint is a favorite winter flavor for me, but it’s pretty fantastic all year long. 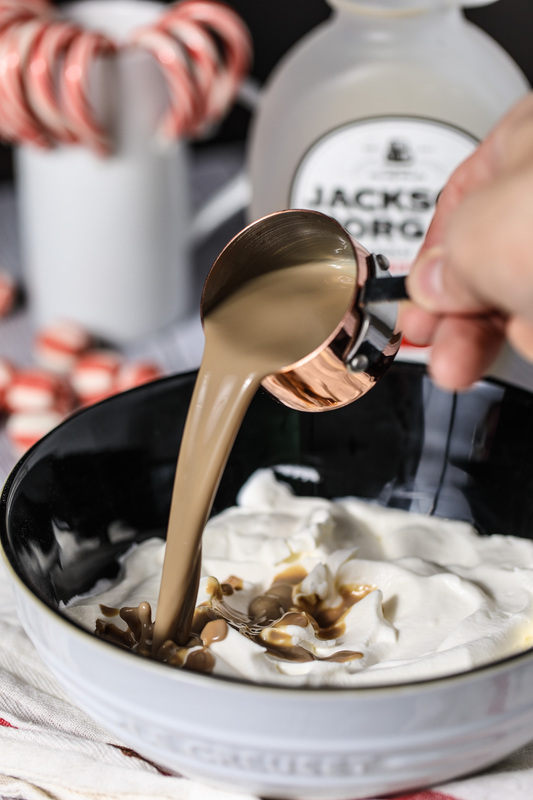 I’m such a huge fan of Jackson Morgan Southern Creams that I’ve made a whole list of recipes using their sips on the blog in the past. — Brown Sugar Cinnamon Whiskey Eclairs, Boozy Root Beer Floats, Whiskey Cream Caramel Popcorn, and more. Honestly, all of these recipes are fantastic. 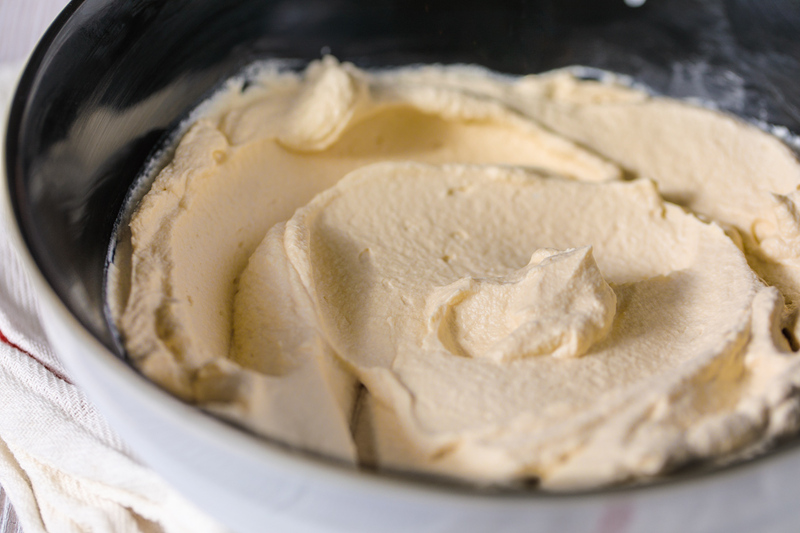 There are so many things that you can do with a great boozy cream. Swap part of any dairy ingredient in a recipe with this and you are guaranteed to win. 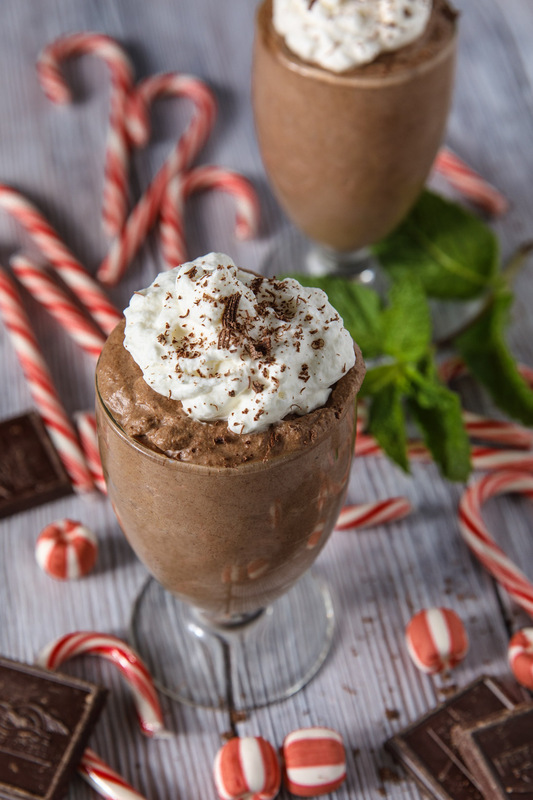 Classic chocolate mousse with a southern whiskey twist. 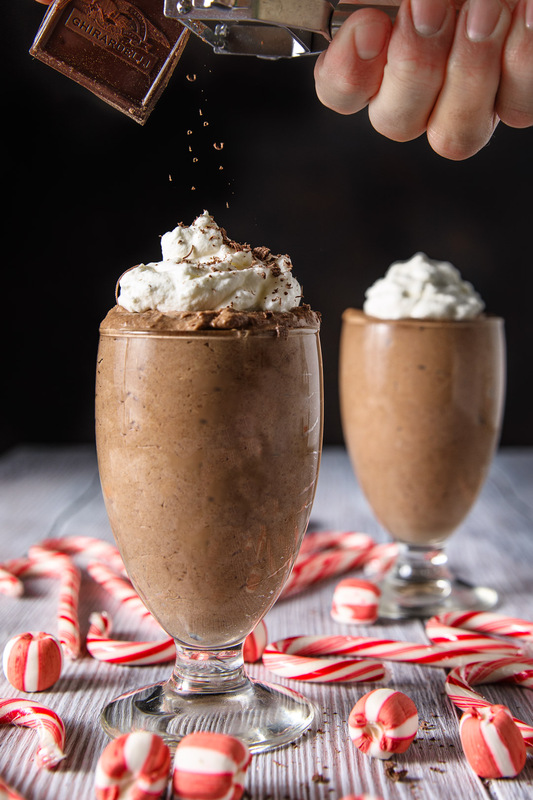 Spiked peppermint mocha chocolate mousse by Southern Fatty. 3 egg whites, room temp. Placed chopped chocolate in a bowl on top of a small saucepan with an inch of water over medium heat. The bowl should be larger than the bowl to simply warm the chocolate gently. Melt the chocolate, stirring with a spatula until completely melted. 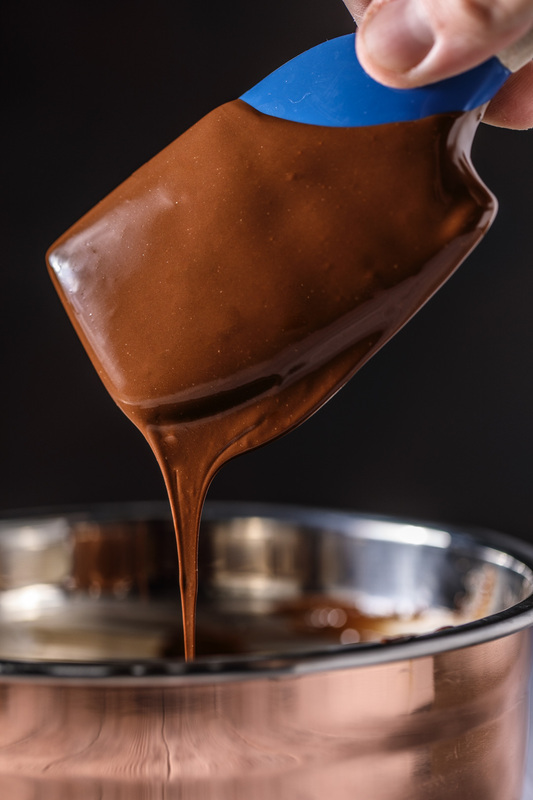 Immediately remove chocolate from double boiler. Wipe the bottom of the bowl to remove any trace of steam or water. 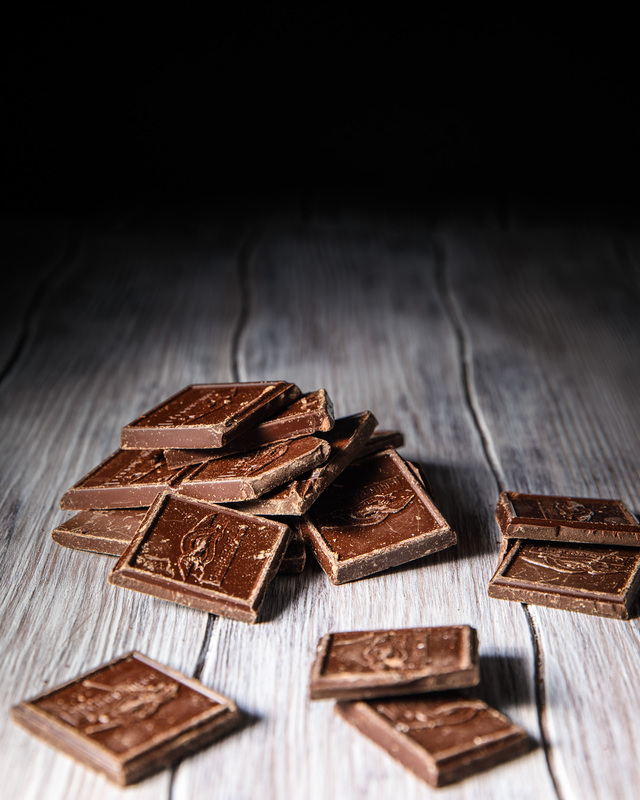 If water gets into the chocolate, it will seize and you will have to reheat it. Let the chocolate rest to cool. In a clean bowl, add the 12 ounces of cold heavy cream. Whip to soft peaks. 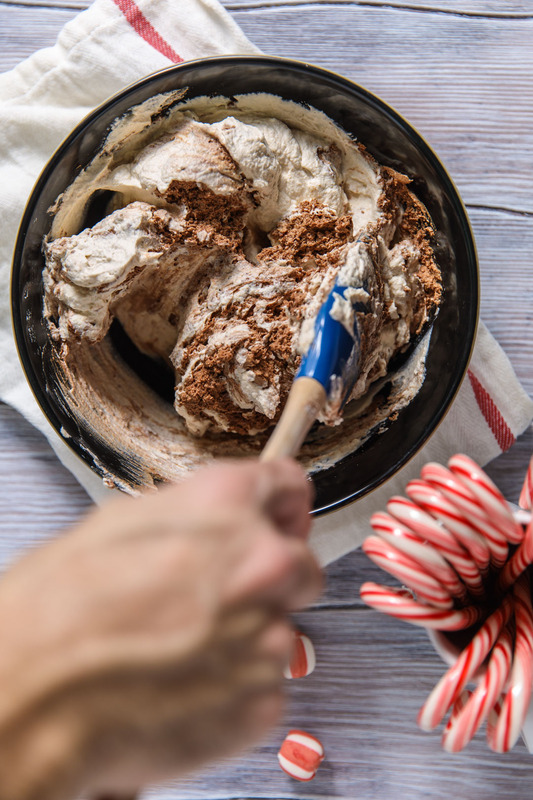 Slowly add the Jackson Morgan Peppermint Mocha whiskey cream and whip to stiff peaks. In another clean bowl, whip egg whites to soft peaks. Slowly add sugar and continue beating until stiff and glossy. 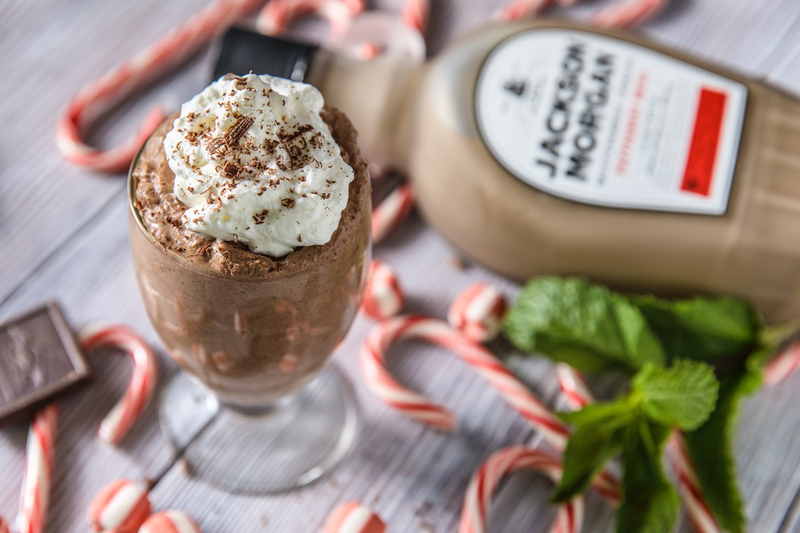 When the chocolate is cool, add it to the whiskey cream whipped cream. Fold this together until almost combined fully. Add the egg whites and fold. Be sure to fold gently, but completely until completely mixed. Transfer to serving dishes and chill for an hour. Can be made ahead of time easily. 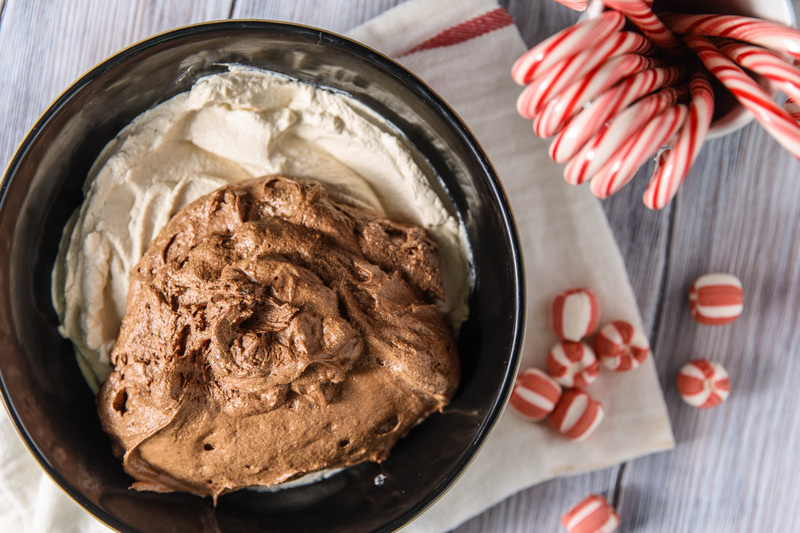 Whip finishing cream, sugar, and vanilla to make a sweetened whipped cream to top mousse. 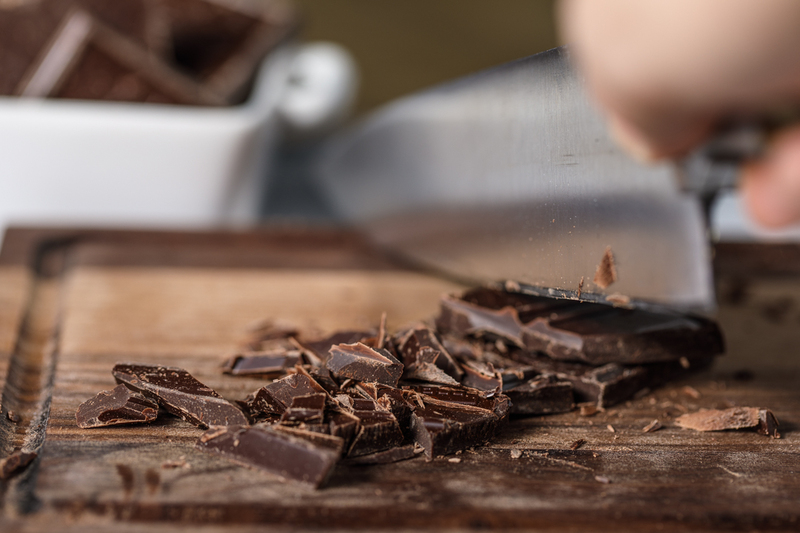 Finish with grated chocolate and enjoy! Find Jackson Morgan products using the locator here. Disclosure: This is a sponsored post with Jackson Morgan Southern Creams. I truly enjoy the products and these thoughts are all my own.